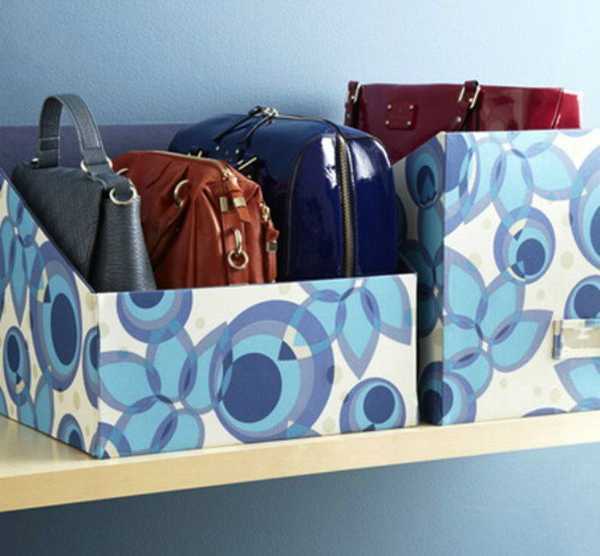 Here are space saving ideas for creating and organizing storage space for handbags and purses. or decorating with your favorite purses. A large collection of bags and purses make any shelf, drawer or closet look not big enough to store them and cluttered. Simple home organizers and creative space saving ideas help organize your accessories in a wise manner and add beauty to your home decorating. Decluttering your closet and packing away, donating or selling handbags and purses you do not use is a way to create more storage space and make your entryway and bedroom closets look airy and neat. Additional shelves, cabinets, storage space dividers, attractive hooks and simple organizers are another way to create efficient storage space and organize your handbags and purses. 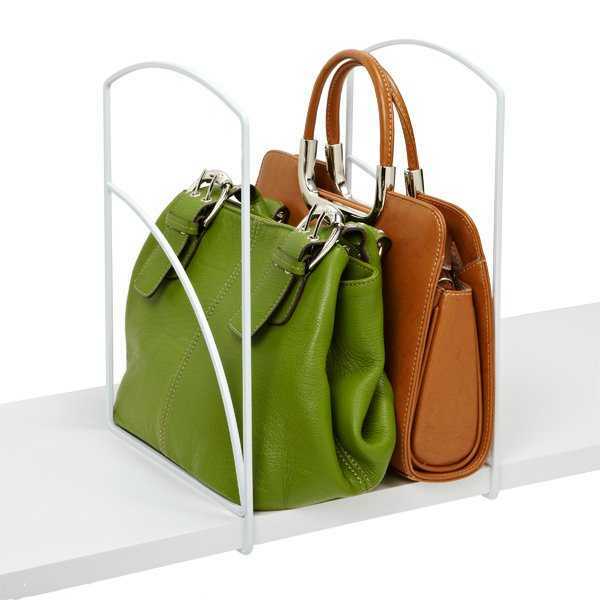 Well organized storage for bags and purses helps setting an order in your closets and maintaining their bets quality. Light scarfs, handbags and purses are vital accessories, and keeping them in order is a way to preserve their good condition and attractive look. From leather to suede and other fabrics, all purses need a special care. It’s not enough to find space where to organize them, you have to come up with an idea on how to keep them look like new. Hanging will distort the initial shapes of handbags and purses eventually because of the gravity. Hangers and hooks are great space saving ideas, but only for seasonal organization and short time storage. Uncovered baskets or boxes are not the best storage solution for your accessories also. Storage baskets and boxes that have fabric lining and covers, or covered with fabric pieces protect your accessories from scratches, dust and damage.